Based in Seattle, the former VP of communications and marketing at Boeing Commercial Airplanes is focused on counseling APCO clients. 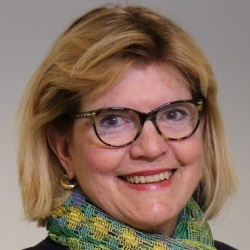 SEATTLE: APCO Worldwide has named former Boeing communications executive Mary Foerster to its International Advisory Council, the firm said on Monday. Based in Seattle, she is serving as a member of the Council’s Corporate Communication Strategies sub-group, focused on counseling clients. The group's members serve on an as-needed basis. Foerster said the advisory board has about 80 members, with APCO’s website listing 21 people in the Communication Strategies sub-group. She previously held a pair of top comms roles at Boeing: VP of communications and marketing at Boeing Commercial Airplanes and VP of communications and community relations at Boeing Defense and Space. During her time at the company, Foerster implemented domestic and international communications targeting employees, government and commercial customers, and shareholders, the agency said in a statement. She has also held roles at Hill & Knowlton and Burson-Marsteller, working in markets including Frankfurt, London, and Washington, D.C., and counseling clients such as GE, Philip Morris, Ford Motor, and Toyota. Foerster noted that she tackled "big challenges both internally and externally" during Boeing’s acquisition of McDonnell Douglas, which was put into motion in late 1996. "What [APCO Seattle MD] Maggie Brown and [executive chairman] Margery Kraus told me was that many of their clients are looking for expertise and help, particularly in the areas of transnational acquisitions and mergers, which is something I’m interested in personally," Foerster said. "This is something I did a lot at Hill & Knowlton, Burson-Marsteller, and Boeing. Part of my job was merging all the various corporate cultures that came together when Boeing acquired McDonnell Douglass, Hughes, and other companies." APCO’s Corporate Communication Strategies group also includes former Alcoa VP of corporate affairs Nick Ashooh, former Procter & Gamble global external relations officer Chris Hassall, and Nike’s former global VP of corporate communications, Kirk Stewart. APCO’s global revenue was up about 1.5% to $119.9 million in 2015, but its U.S. revenue was down 4% to $66.2 million last year. The firm has 30 offices around the globe and about 680 staffers. This story was updated on June 27 with comment from Foerster.